I’ve been so spaced out today! It could be because Tom and I stayed up late watching youtube videos after a very fun date night of Chinese food, frozen yogurt, and “Bones.” My whole schedule has been off this week, anyway. 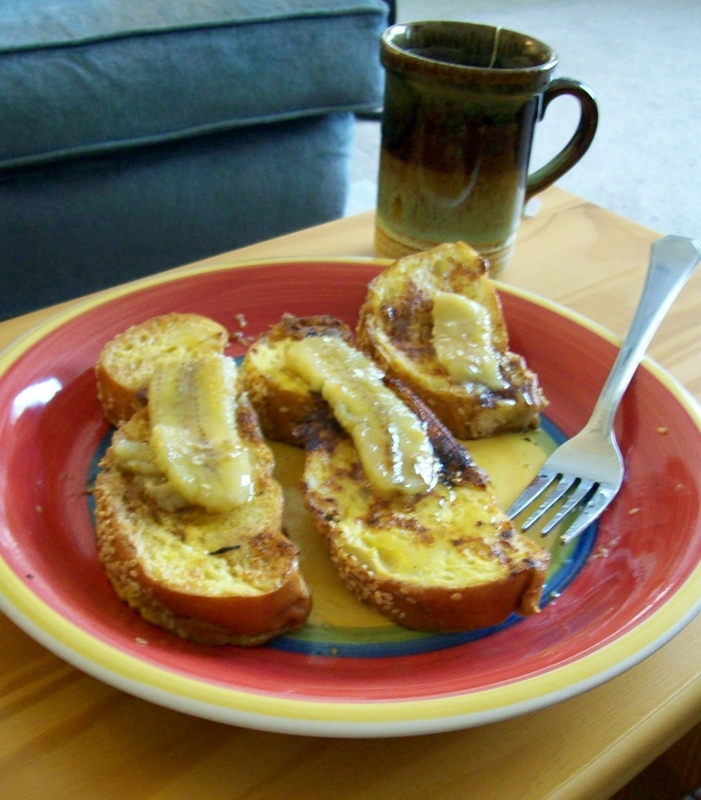 French toast on sesame seed bread with bananas and honey. Then I cleaned part of the apartment today, because, you know, I live on the edge! The desire to decorate is great. Must … resist … online … shopping. 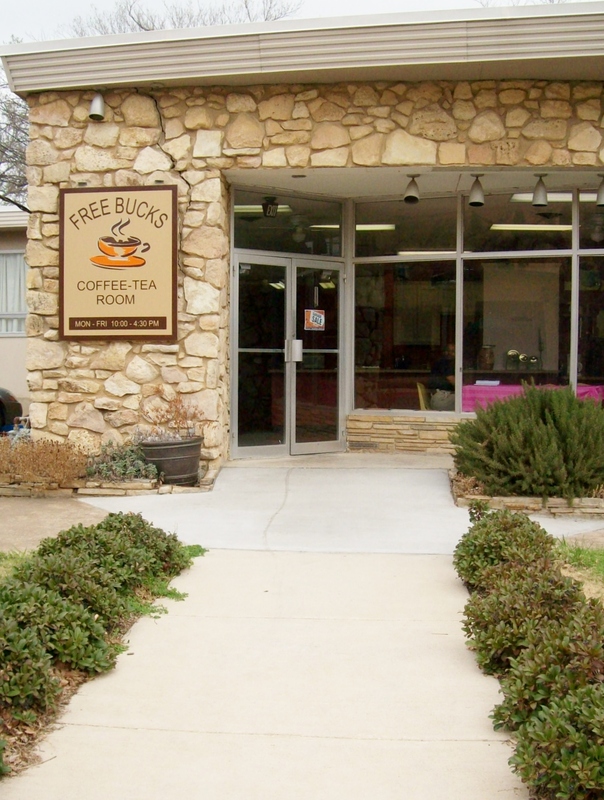 The entrance to Freebucks, our coffee shop. We’re working on getting a website made, but in the meantime, we have a Facebook page. If you’re a UT Arlington student, stop by and visit us! We’re open 7:30 a – 10:30 p M-F, and there’s always free coffee, tea, and food. Look for us across from the UC on the North side. I think that about covers the whatevers of the day. I hope all of you have a great weekend, and a safe and happy Spring break!